How much time does planning a Disney trip take? Ideally, you want to plan 7 or more months in advance. Follow this simple planning timeline below. This timeline assumes you’re staying on Disney property and traveling domestically. Decide when you want to go. There’s many factors that play into this obviously. When can you and others in your family get time off from work/school? What season do you prefer? Do you want to catch any special holiday celebrations in the parks like Halloween, Christmas, 4th of July, etc.? Are you concerned about crowd levels more than anything? Begin researching when is the best time to go. Check out my blog post Is it Possible to Beat the Crowds? Come up with a budget. When you would like to visit WDW and your budget can go hand in hand sometimes as different times of the year cost more or less. Peak vacation times cost more. Consider how much you may have already saved and how much you think you could come up with in the months leading up to your vacation. Be realistic. Factor in cost of tickets, dining plan or dining out of pocket, tips, transportation and parking fees if using your own car or renting one, airline costs if flying, souvenirs, and of course your resort. We all want to stay on the monorail loop but let’s face it, that’s just not going to happen for most of us. Choose your resort. To help narrow your choices decide if your budget will allow for Value, Moderate or Deluxe accommodations. Generally, Value can run you $99-$250/night, Moderate $200-$400, Deluxe $350-$1,200. Time of year and size of your room factor in of course. Art of Animation is considered value for example but their suites run $300-$450/night. Research all the resorts in your budget, read reviews, look at photos. Which of your options makes you most excited when reading about it? Pick that one! Set up your My Disney Experience account and make your resort reservation. If booking a room and ticket package a $200 deposit is required. Room only reservations require a one nights stay deposit. Find out about special offers. You can check for offers on their website obviously but you can also ask the cast member if you called to make your reservations. If you can’t find any, that’s ok. Continue to check for offers between now and your trip, you never know what could pop up. Mousesavers.com has a historical rates and specials calendar that shows you when previous deals have dropped for certain travel dates. Set a reminder for yourself to look around those times. Consider trip insurance. If you’re vacationing during peak hurricane season in Florida, August-October, you may want to get insurance. If you live in a northern state and you’re traveling during peak winter, December-February, you may want to get insurance too. Weather we can kind of plan for but what about the myriad of things we can’t plan for? A good resource to start is InsureMyTrip.com. Research restaurants. On My Disney Experience you can sort restaurants by which park, resort, etc, they’re located. You can even sort out character dining experiences as well as type of cuisine. Read reviews! Even more important than resort reviews in my opinion because all resorts have standards at Disney but restaurants I have found can vary across the board. Look at the menu, Disney has the menu posted for each restaurant on their site. Make a list of your favorites. If you have the dining plan double check how much each restaurant will cost. Signature/fine dining is 2 table credits, not 1. Make Dining Reservations. Your window opens at 180 days out and if you are looking to book more popular dining locations like Be Our Guest Restaurant or Ohana breakfast for example, you will need to be online booking at 180 days. 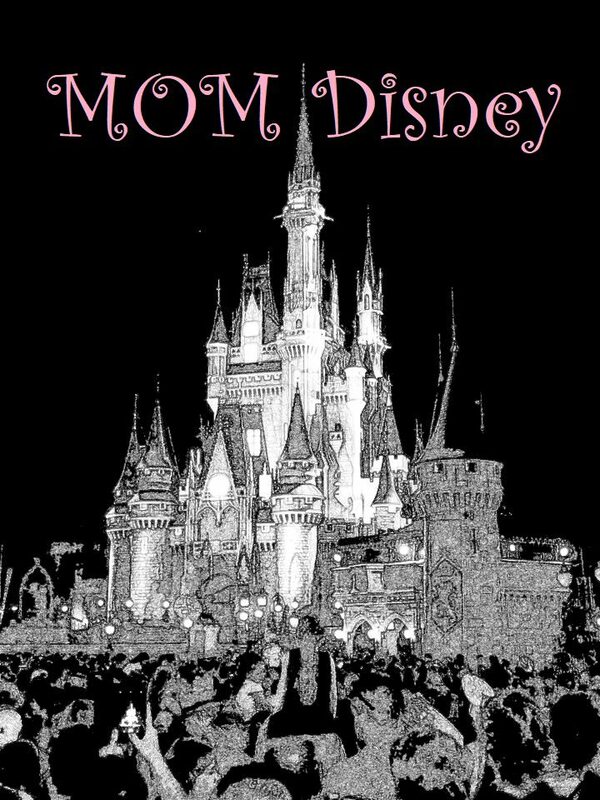 Make other reservations such as Bibbidi Bobbidi Boutique, Spa treatments, boating or golf and other recreational activities, Disney run child care arrangements, and dessert parties. Research shows and attractions. Go park by park and review the attractions and shows at each. Note any height requirements. List which ones you think will be a must for your family. Be sure to pay attention to very popular attractions like Flight of Passage, Seven Dwarfs Mine Train, the new Toy Story Land rides and Frozen. If these are on your must do list they will need fastpasses unless you’re ok with waiting 2+ hours. List out what FastPasses you want to get and on which days. Keep your dining reservations in mind while doing this. For more info read FastPass for Beginners and FastPasses: The Next Level. Are your tickets linked? If you didn’t get a package you should have your park tickets by this time and make sure they’re linked in you My Disney Experience account. Make non-Disney reservations. Now’s the time to make stroller and/or scooter reservations. Also non-Disney run childcare/babysitting arrangements should be made now. Search, and possibly book, flights. Research has shown the best time to book your flights is between 70-110 days out. You can set up Kayak.com to send you alerts when flight prices are increasing or decreasing. I like to use an app called Hopper. You set up your trip information and it will give you a window for the best time to book. It will also alert you when prices are dropping. Start walking! No really. Now is a good time to start an exercise and/or walking program. My family and I regularly hit 15,000 steps every day at Disney. Sometimes more. If this isn’t something you’re accustomed to you will need to start preparing now. Get yourself a step tracker and start counting those steps. Increase your step goal every 2-3 days in small increments. Practice walking uphill, downhill, pushing your kids in the stroller, carrying a backpack, etc. I’m serious. Make sure your spouse and kids are walking too! While we are talking about walking (see what I did there), let’s talk about footwear (ha, I did it again!) While you’re doing all this walking, decide on footwear! Read reviews and get shoes for the family. You’ll want comfortable and sturdy sneakers and sandals/flip-flops for all. Personally I’m a flip flop wearer and my Sanuk flip flops hold up to the steps without issue. My husband likes his all terrain sneakers and my daughter likes Crocs. Find what works for you and each member of your family and start breaking those shoes in! Take care of yourselves. Since we are talking about fitness we should talk about nutrition and vitamins too. You don’t have to diet but you may want to consider it. It never hurts to take on more healthy eating habits. Also, take vitamins! Vitamins along with good nutrition can help keep you and loved ones from getting sick. Book your flights and notify Disney. If you haven’t already, it’s time to seriously consider booking your flights. If you have, and you plan to use the Magical Express, be sure to give Disney your flight information. FastPass time! You can start making your FastPass reservations at the 60 day mark and you’ll want to be logged in right when your window opens at 7 AM! Remember Disney is on Eastern Standard Time. Always start with the hard to get FastPasses and worry about the rest later. Complete on3ine resort check-in now. Set up email and text alerts that will notify you with your room number when it’s ready. This way you can skip the front desk and head straight to your room! Order Magic Bands. This is the cut-off to customize your Magic Bands on My Disney Experience. If you don’t make the cut-off, don’t worry. You can still get your bands at your resort but you’ll have to stop at the front desk. Need to make changes? This is a good time to consider changes to your resort or dining reservations. Many people cancel their reservations around this time and there may be availability. Package payments are due in full. If you reserved a room and ticket package your payment is due now. If you did room only your payment is due at check-in. Take a look at park hours including Extra Magic Hours. Finalize which parts you plan to visit on which days. Do you need a pet or house sitter? Make those arrangements now. Arrange to stop mail delivery. Go to USPS.com to stop mail and package delivery to your home while you’re away. If you have any UPS or FedEx deliveries expected you can arrange to have those delayed as well. Start packing! Get those suitcases out and make a checklist of everything you need for your trip. If there’s anything you don’t have, be sure to pick it up in the next couple of weeks. Arrange grocery delivery to your resort. Garden Grocer, Publix and even Amazon offer grocery delivery services to Disney resorts. Check the weather for Orlando, FL. Make any changes to your packing list as needed. Consider purchasing Memory Maker if you haven’t already. Do this at least 3 days in advance of your trip to get the discount. Cancel unneeded dining, babysitting, or recreational arrangements. Make sure you completed resort online check-in. Double check weather and park hours. Put your Magical Express tags on any luggage being checked. Make sure medications and IDs are in your carry-on bag(s) plus anything you may need while at the airport, on the plane, or at your resort immediately. If using Magical Express it could take a few hours to see your checked luggage. TRY TO HAVE A GOOD DINNER AND GET A GOOD NIGHT’S SLEEP!